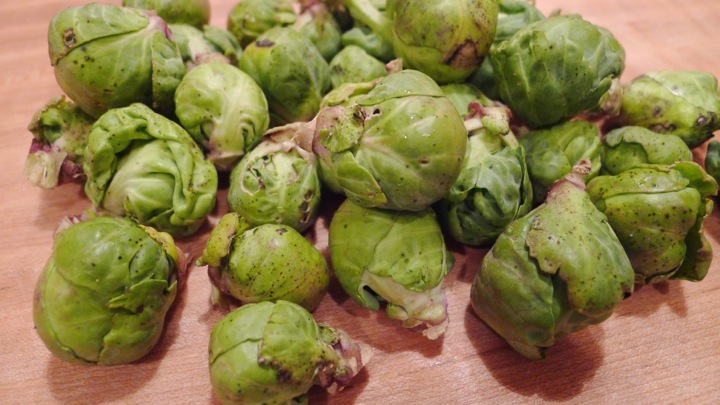 I was very excited to get Brussels sprouts in my CSA this week, they’re one of my favorite things! You can do a lot with them- pizza toppings, shaved raw for salads, roasted and tossed with a buttermilk/lemon dressing (my favorite!) This time I thought I would try something new, so I made a quesadilla! 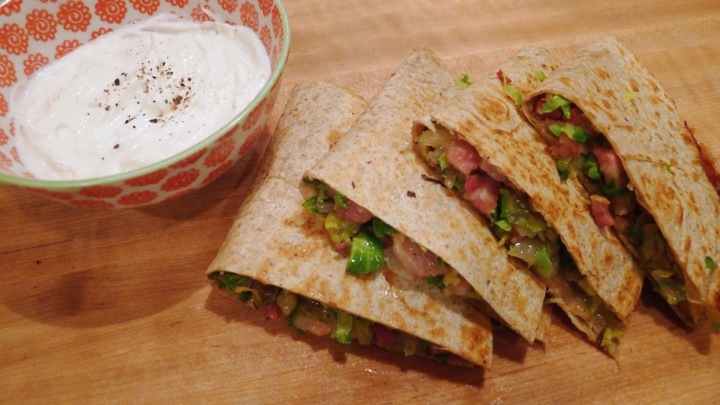 It was very easy to make and perfect for a quick weeknight meal. 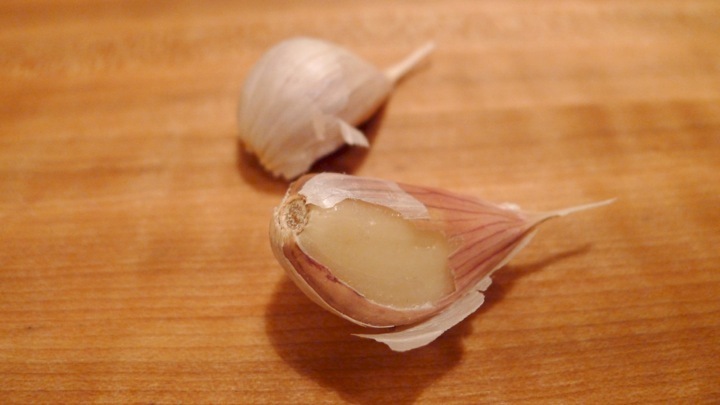 I also smashed some roasted garlic into my Greek yogurt to use as a sour cream substitute to be a little healthier. 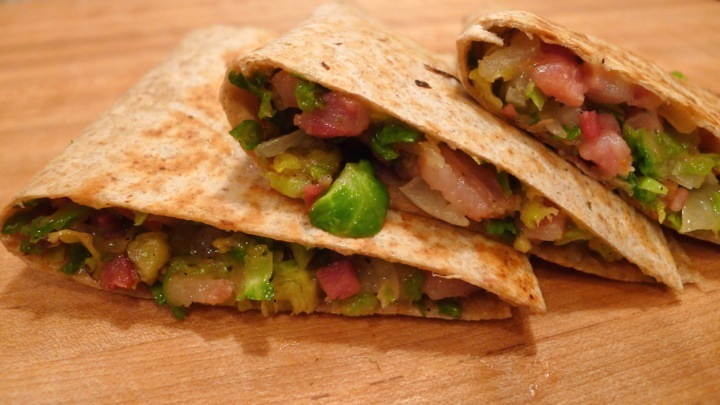 Ingredients: Brussels sprouts (about 20 small/medium sized) shaved 1 large shallot, sliced Smoked mozzarella 2.5 ounces Pancetta Flour or whole wheat tortillas 1/2 cup Greek yogurt 2 large garlic cloves Salt and pepper, to taste Preheat the oven to 350 and roast the garlic until soft, about 20 minutes. Remove and smash into the Greek yogurt, set aside. Alternatively, you can mince the garlic and cook with a little olive oil in a pan and mix into the yogurt. I just love roasting it! 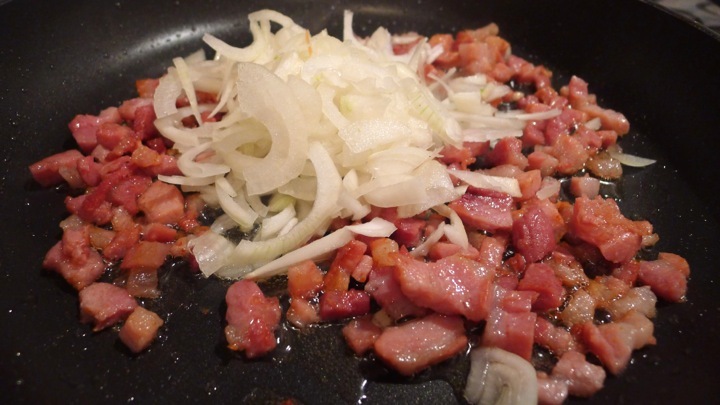 To make the filling, add some olive oil to a pan cook the pancetta. 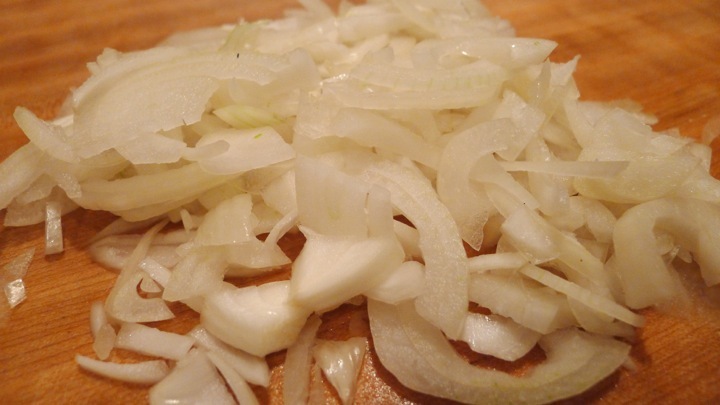 Next add the onions and cook until translucent, about 1-2 minutes. 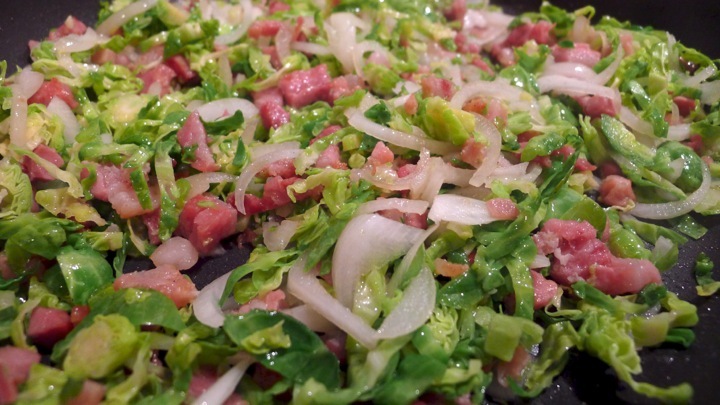 Lastly, add the brussel sprouts and cook until wilted, about 5 minutes. Salt and pepper to taste. Remove and set aside. 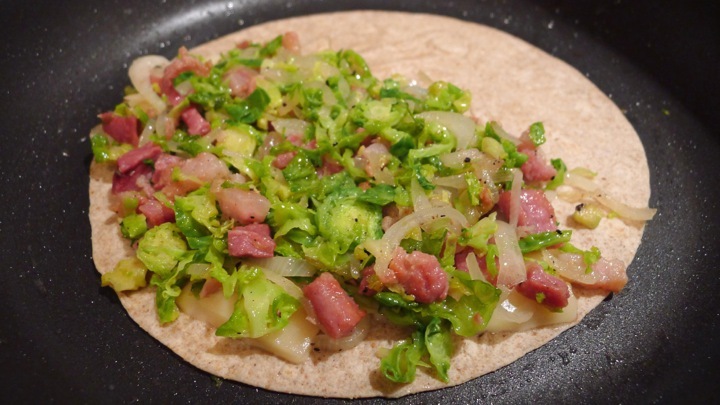 In the same pan, place a tortilla and add some smoked mozzarella to one side, followed by the brussel sprout mixture. 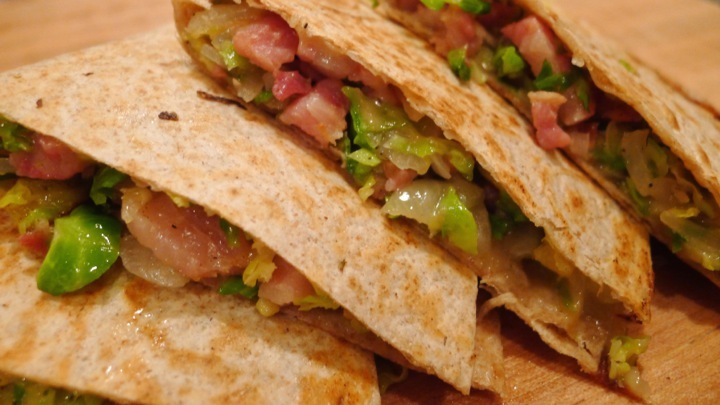 Fold the tortilla in half and let cook for about 1-2 minutes before carefully flipping and cooking for another 1-2 minutes. Repeat with other tortillas. 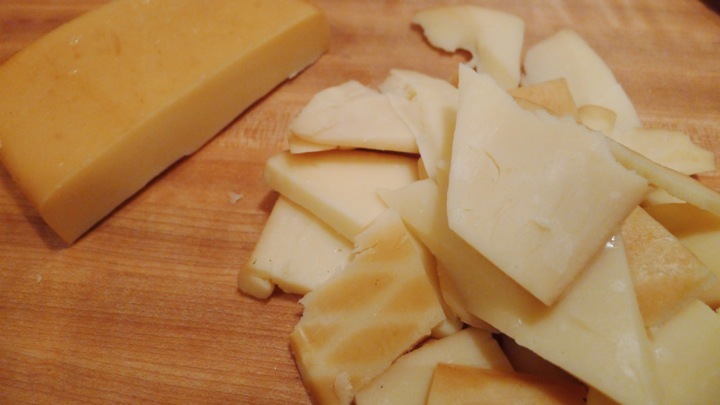 Cut in half and serve with Greek yogurt!